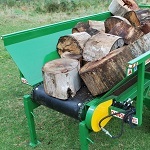 Infeed hoppers/conveyors can potentially double production by reducing wood handling. 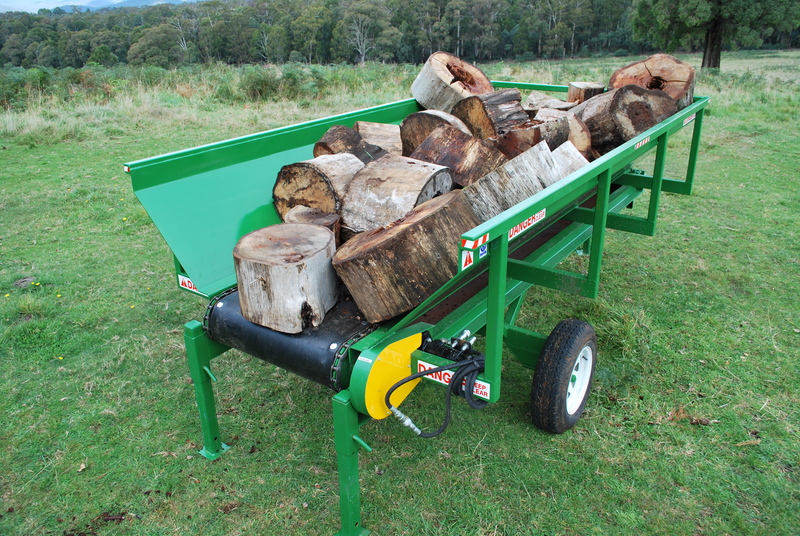 The hopper is filled with a loader, which means the operator spends less time away from the splitter. 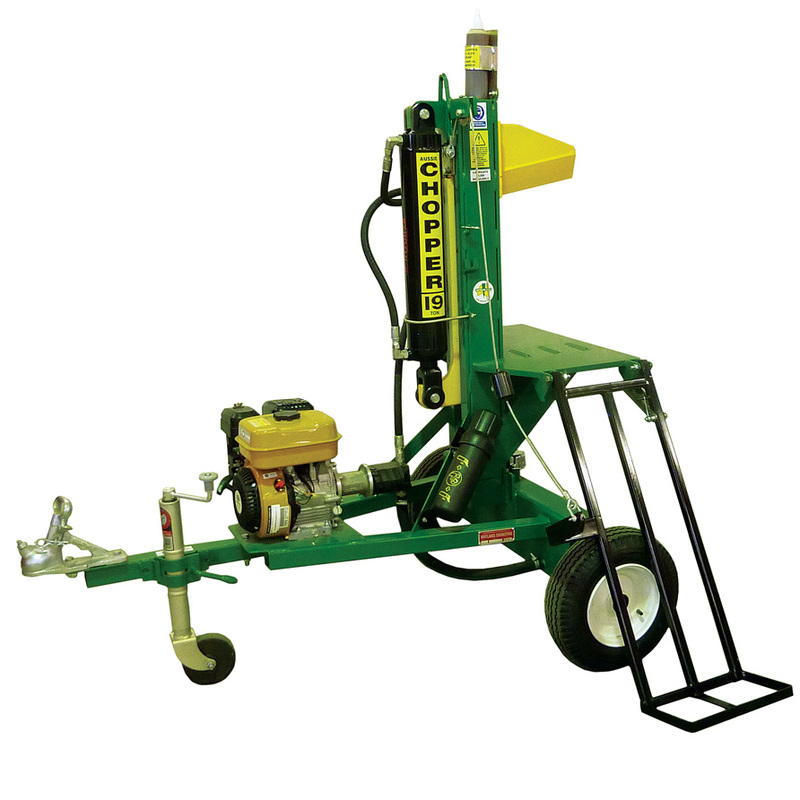 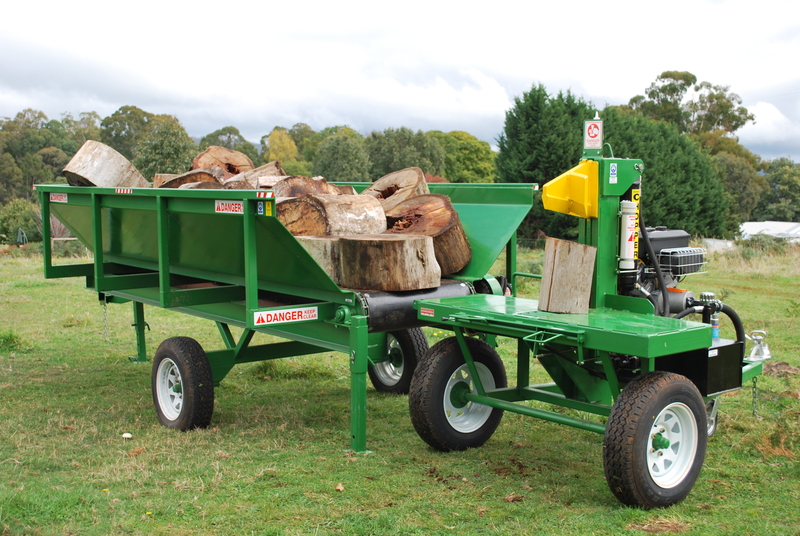 This 4³m hopper feeds timber onto the wood splitter bench for splitting, and is powered by the hydraulics on the wood splitter.